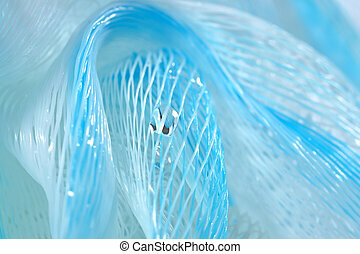 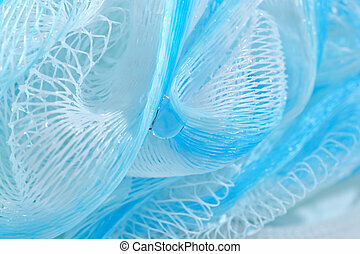 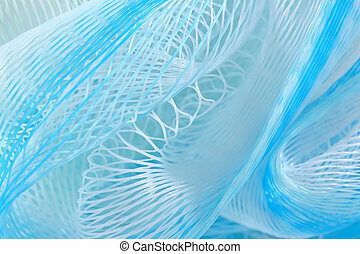 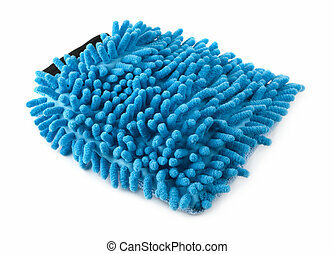 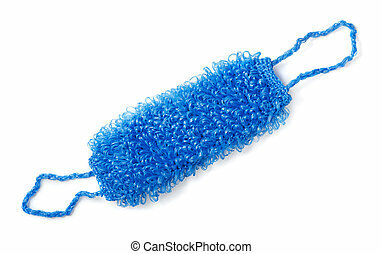 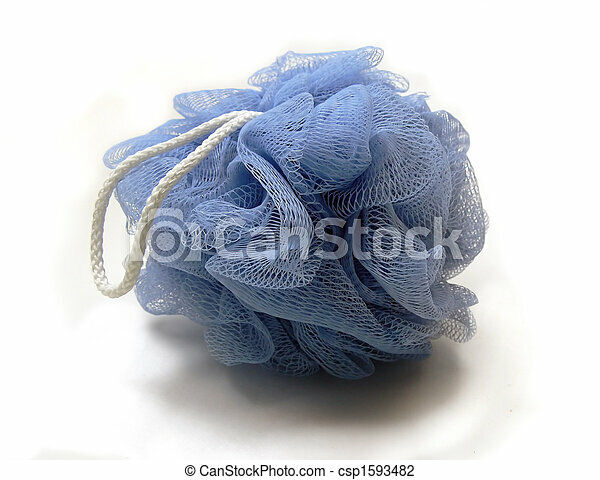 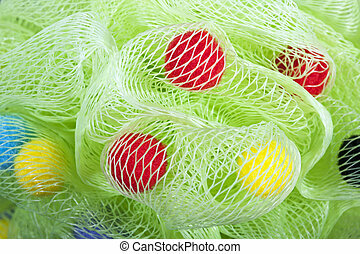 Blue mesh loofah. 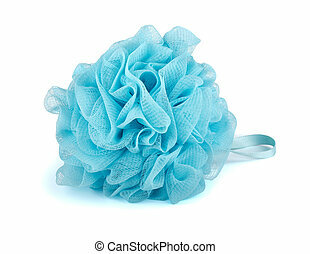 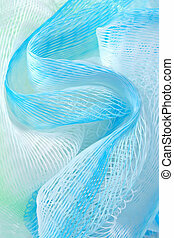 Isolated mesh loofah. 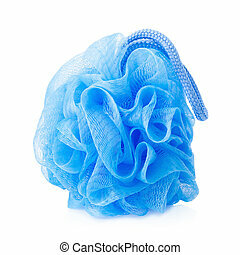 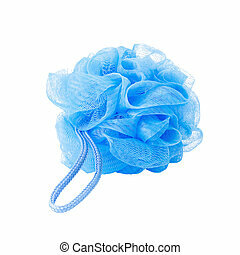 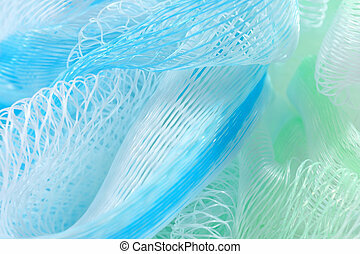 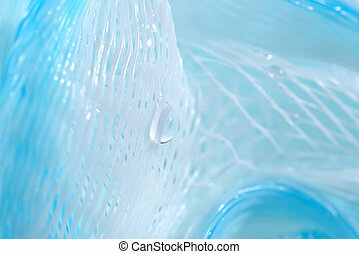 Blue plastic bath puff isolated on white background.